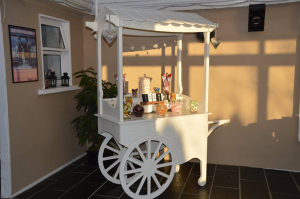 Show your appreciation to your work colleagues and business guests by adding a candy cart to your event. We can incorporate your company colours into our theme and we do our utmost to emphasize your corporate brand. We will deliver the cart to your chosen venue, whether that is your office, or any other location. Once you are done networking we can package all of the leftover candy to be enjoyed in the office for days to come. If you are exhibiting at a conference, then why not use our Candy Cart to help you draw prospects into your booth?